Start off poor and work your way up the social ladder as you meet new people, buy new cars, and move into larger and more luxurious houses. The streets are your playground and what you do on them is up to you. 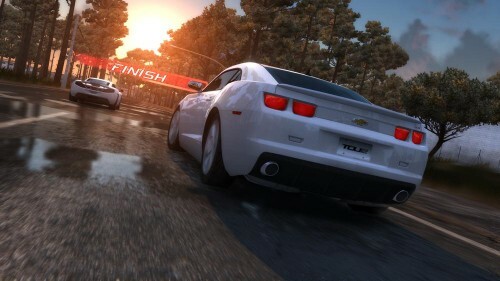 Race off road or down long stretches of asphalt, the possibilities are limitless in this vast open world racing game. The entire game has to do with racing, but how you race is completely up to you. There are classic cars, performance cars, and even off road cars. Each react to the environment in different ways and each require a different way of driving in order to be successful with them. For instance, while off road vehicles tend to be slower than performance vehicles they aren’t restricted to the roads and can create shortcuts through fields. While a majority of the single player races are restricted to a specific car, online races aren’t and these variations and how well you use them will determine the winner from the losers. 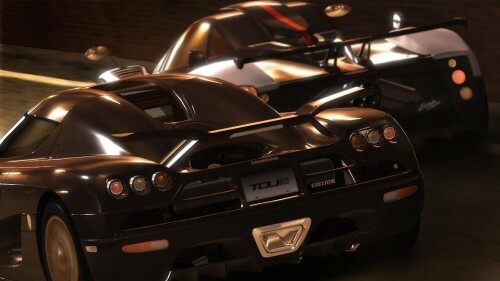 A majority of the game will be taken up by getting licenses that are required to enter races. The rest of the game will consist of completing the races, making money, buying more cars and houses, and making more money. If you enjoy racing games, a majority of the game will be enjoyable and the multiple different kinds of races keep the variety up; however, getting the licenses is boring and incredibly dull. Having to go back for specific licenses in order to partake in certain races is a headache that would’ve been better left out. You can also get out of your car and walk around when you enter buildings, this mechanic is cool at first but you tend to walk incredibly slow and it takes a while to get anywhere while walking within the buildings. The physics are a little odd in this game. While it is cool how there is a huge difference between asphalt racing and off road racing, the collision seems to be random and a little dull. When you collide with something you will either come to a complete stop instantly, or you will ricochet in some random direction for no apparent reason. Another odd thing about the game, is that a few things that many of us would assume would break upon collision such as wire fences don’t and these things may take a while to get used too during races. 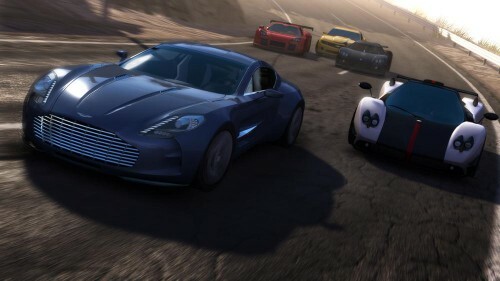 Multiplayer is a big focus in Test Drive Unlimited 2. As you play the game and enjoy the single player narrative you will always be connected to the internet (if you have xbox live) and regularly run into other players. If you do, you can challenge them in a quick race and bet money or just ride around chatting with absolutely no goal in mind. What you do with your friends while online is endless and leads to a lot of fun racing for wealth and glory. The audio in the game is standard in every aspect except the sound effects which are great. Most of the audio that is noticeable is pretty subpar, the voice acting doesn’t seem to fit and the selection of music is pretty low. On the other hand, each car sounds unique with separate engine noises and a variety of collision noises. The rest of the audio is fine, it could’ve been better but it doesn’t remove from the experience. The graphics are beautiful, with large open worlds that are shiny. Heavy customisation is also abundant in the game and you can customise everything from your body, or your car, or even your house. There is a lot of detail in the world and it all pretty much loads in real time; however, this causes objects to pop up in the distance and sometimes it is a little unsettling to see a large forest just appear in the distance or cars come out of nowhere. These small sacrifices may have been necessary for the experience, but they are still a bit disappointing. The achievements in Test Drive Unlimited 2 consist of a whole bunch of collect X amount of an item, or do a certain task a whole bunch of times. If you enjoy the game they will come naturally after playing for a very long time, but it isn’t a list you can just sit down and work on. There are a few quick achievements that are easy to get, but once those are completed you will be stuck grinding out the rest. Luckily the game is enjoyable enough to make it feel less like a chore, but not everyone will appreciate having to find every single location or drive for over 5000 miles to get a single achievement. This is definitely not an achievement list that you go in expecting to complete, you need a lot of time and a lot of friends to assist you in the full 1000 and not many people have that these days. 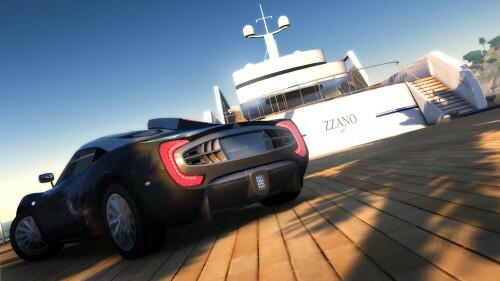 Test Drive Unlimited 2 is a massive game with tons to do. There is a lot of driving and tons of racing, but you should probably already know that and even expect this if you are picking up a racing game in the first place. Tons of cars, tons of customisation, and massive landscapes to explore. Play with friends, play alone, or meet new people to play with; it is all here. 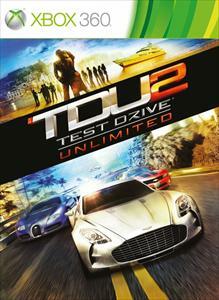 Test Drive Unlimited 2 is a fun game, but it can get repetitive and not every single thing in the game is streamlined. You can waste tons of time just driving around aimlessly, but this isn’t always a good thing specially if you want to jump into a race immediately.